January 5, 2013 January 5, 2013 by cjr01Leave a Comment on My (Hopeful) Final Piece! Well times have moved on since my last post. It’s really surprising how much work is involved in developing ideas, looking at funding, trying to find a suitable location to exhibit and that’s not to say anything about the other 101 things to sort out! 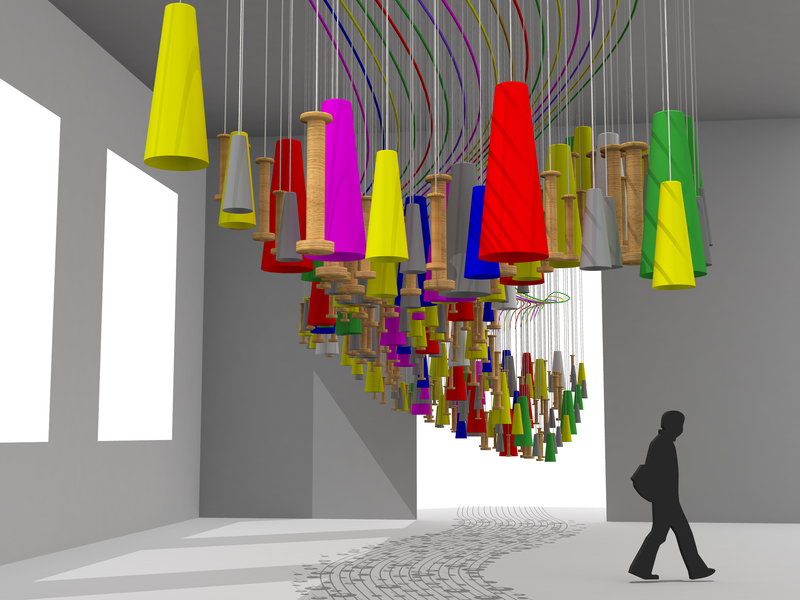 Finally the idea is here…an installation based on the weaving and cotton industries of old. It follows, almost literally, the lines of the river used to transport the raw materials and will include bobbins, cotton and sounds from the mills. …and now for the funding and the space…not much to do really!